Deep in the Arctic, nestled inside an icy island lies one of humanity’s backup plan: the Svalbard Global Seed Vault. Open in 2008, the center houses seeds from virtually all the plants on the planet be them wild, domesticated or genetically modified. In case of a global calamity of any kind (nuclear war *cough), these seeds would be put to good use if a species is faced with extinction or research is required on such seeds. This is precisely why the first withdrawal request from the vault was made by Syrian researchers. While there’s no nuclear war in Syria, things are pretty rough over there. The researchers at International Centre for Agricultural Research in Dry Areas (ICARDA) had to move their work from their head quarters in Aleppo, Syria to Lebanon. The problem is that all the seeds which the researchers use are located in Aleppo, and while these are supposedly safe and in cold storage, the vicinity is ravaged by war and too dangerous. To continue their work, the Syrian Researchers asked the vault to return 130 of the 325 boxes that they dropped off containing drought-resistant crop seeds, including wheat, barley, and grasses. This means 116,000 out of a total of 860,000 stored at the Svalbard Vault. 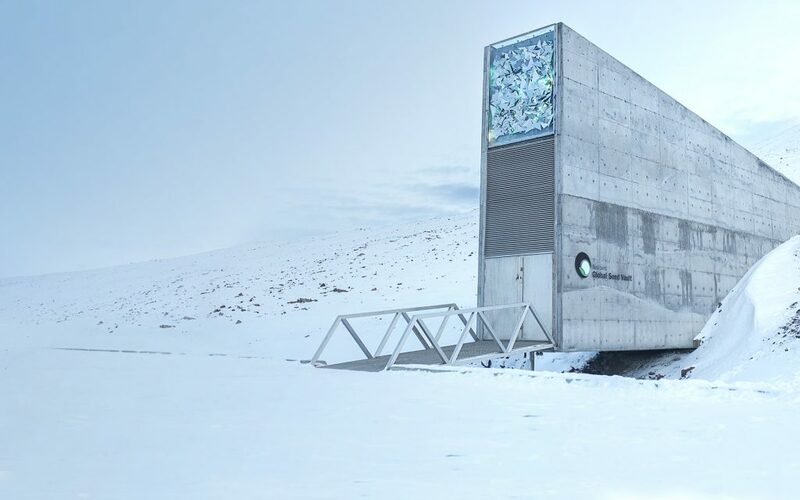 Though Norway owns the global seed bank, the first of its kind, other countries can store seeds in it and remove them as needed. The genes in the seeds may someday be needed to adapt crops to endure climate change, droughts, blights, and other potential catastrophes. Luckily, the vault is replenished constantly and the withdrawal shouldn’t cause any vulnerability. “Protecting the world’s biodiversity in this manner is precisely the purpose of the Svalbard Global Seed Vault,” spokesperson Brian Lainoff said.